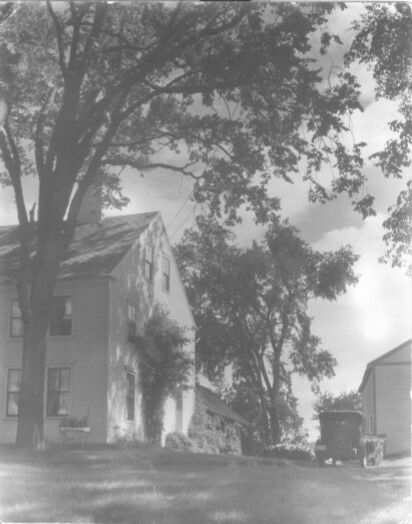 WINDHAM, September 7.— Mr. & Mrs. Horace Berry, as usual, attended the annual forestry meetings in the White Mountains, held this year at the Profile House. James Upham has returned to his father’s cottage here, after serving through July and August as information clerk at the Profile House. He visited the summit of Mount Washington recently and found in the ashes of the Tip-Top House a spoon and fork which he values as souvenirs. Mrs. Elizabeth C. (Smith) Nesmith, widow of Jacob Alpheus Nesmith passed her 84th birthday on September 3. She is one of our most esteemed and deserving old ladies, always having a genial smile and hearty handclasp for her friends. Flowers and other simple gifts helped to make the day a pleasant one. Her only son Arthur Nesmith, with his wife, lives in the other part of the house and tills the ancestral acres. The three “Armstrong sisters” crossed Cobbett’s Pond one fine afternoon of last week to visit friends on the North Shore. This trip was a special delight to Miss Mary, who has been a partial invalid since 1877, and in all the years since, although living near the pond, has not been upon its waters. Passionately fond of nature, the beauties of the day and locality were deeply enjoyed by her. The fiftieth wedding anniversary of Mr. and Mrs. Caleb B. Clark was fittingly and pleasantly observed on Monday afternoon by a reception at their home in the Depot district. Relatives and friends to the number of about sixty attended, giving evidence of their regard for this worthy couple. Among those present were Mr. and Mrs. Frank J. Demeritt, of Houston, Texas; Mr. and Mrs. Otis Clark of Schenectady N.Y., and others from West Medford, Haverhill, Mass., Derry and elsewhere. The fact that the observance fell upon Labor Day doubtless prevented some from attending. The house was decorated with golden rod and with choice flowers sent by friends. The customary refreshments were served. Letters from friends not present were read by Mrs., A.L. Dunton, and a presentation was made by Rev. Mr. Dunton of goodly sums in gold, contributed by many friends of Mr. and Mrs. Clark in town. Other valuable gifts were received. Caleb Clark was born in this town March 6, 1841, and has always lived here. He is a substantial farmer and highly respected citizen, one faithful to every trust and duty. Besides holding minor offices, he has served the town as Selectman seven years, 1887-90 and 1912-14. For many years he has been among the most constant members and attendants of the Presbyterian Church at the Center, of which he was made a ruling elder in 1899. Elder Clark is descended from Samuel Clark, who with his brother George settled in Windham when it was a wilderness, coming from Londonderry, where their father, James Clark, was an early settler and elder of the church. His wife, whom he married September 6, 1865, was Nancy Ballou of Derry, a descendant of Rev. James MacGregor, the first minister in Londonderry. They have three children….” W.S.H. This entry was posted in Uncategorized and tagged Armstrong, Ballou, Clark, Nesmith, Windham NH. Bookmark the permalink.